What is the process of Roller Burnishing and its advantages? Roller Burnishing is a Super finishing process. It is a cold working process which is achieved through the use of rolling elements to ensure that metallic surfaces are finished by chipless compression and smoothing. Since all machined surfaces consist of a series of peaks and valleys of irregular height and spacing, the plastic deformation created by roller burnishing is a displacement of the material in the peaks which cold flows under pressure into the valleys. The result is a mirror-like finish with a tough, work hardened, wear and corrosion resistant surface. Roller burnishing enables a metal surface to have a perfect, mirror-like finishing that too without the application of a tough process known as grinding. 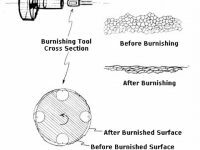 Burnishing can be defined as a process in which a smooth but hard tool using sufficient pressure burnishing is rubbed on the surface of the metal. This helps to smooth out the high spots by allowing the plastic flow of the metal. The edges of the metal can be smoothed by squeezing, smoothing the burr and smoothing the edges of the mold. 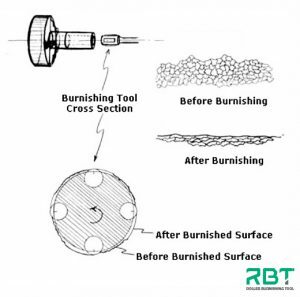 Roller burnishing is cold working the surface of the work piece to improve surface structure. It produces a fine surface finish by the planetary rotation of harden rollers over a bored or turned metal surface. The roller burnishing operation compresses the “projection” (peaks) into the “indentations” (valleys) thus forming a smooth mirror finished surface. Roller Burnishing can improve surface finish and size. Both internal and external surfaces can be polished using appropriate tools. It involves the cold working of the workpiece. The roller burnishing pressure to be applied depends upon factors like ductility, diameter, tensile strength, shape of the rolls etc. Burnishing tools have become a necessity in the manufacturing atmosphere wherever there is need for accurate size and smooth surface finish. Burnishing tools are generally made of high Speed Steel or Carbide material, that are positioned in slots along with a retaining cage.It has a number of tapered and polished precision rollers. They are used in the making of several parts of products which have conical, tube-shaped or disk like surfaces. Burnishing tools can be fitted with Lathe, Drilling machine or CNC machine and can be operated easily without the operator having any specific skills. Improves the size and finish of revolution like cylinders and conical surfaces. Internal and external surfaces can be burnished . Increases, wear-resistance, decreases fatigue and fights corrosion. We are roller burnishing tools manufacturer, supply and export a wide range of Roller Burnishing Tools to our clients for various applications. 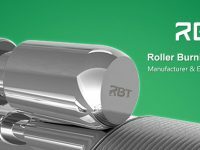 RBT offers different types of roller burnishing tools (ID Roller Burnishing Tools, OD Roller Burnishing Tools, Flat Surface Roller Burnishing Tools, Taper Roller Burnishing Tools) as they understand special tasks demand special solutions. We aim to create new technology and make our products even much more effective than they currently are. 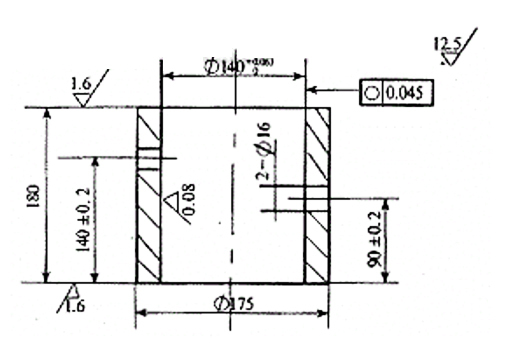 Our products works based on application diameter and length various tool designs are made available to our clients.